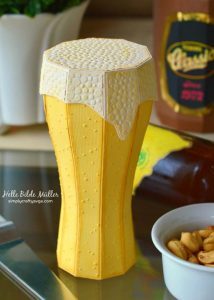 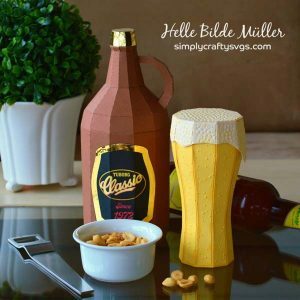 Helle designed these 3D beer boxes for a special birthday gift. 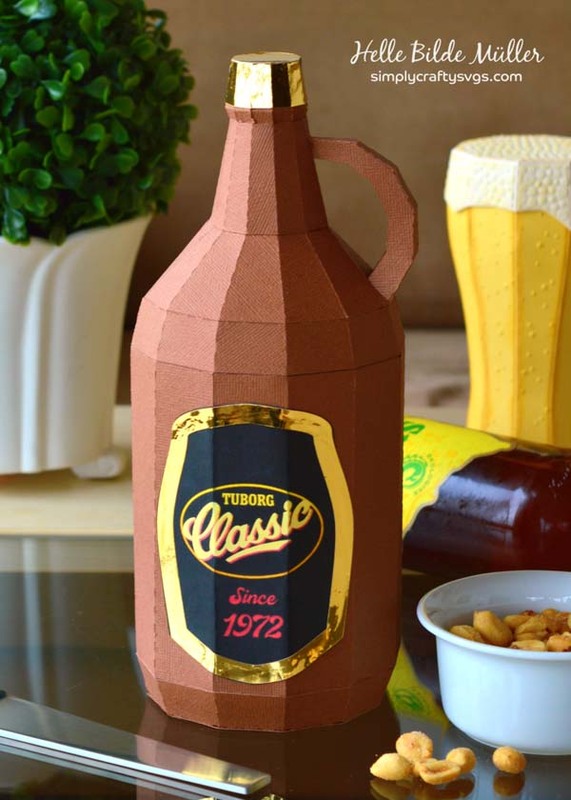 The Beer Growler and Beer Glass look so realistic and I love the classic label. 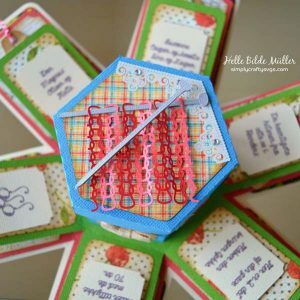 Click here to head on over to Helle’s blog to comment and see all the other great projects she makes…not just from our files! 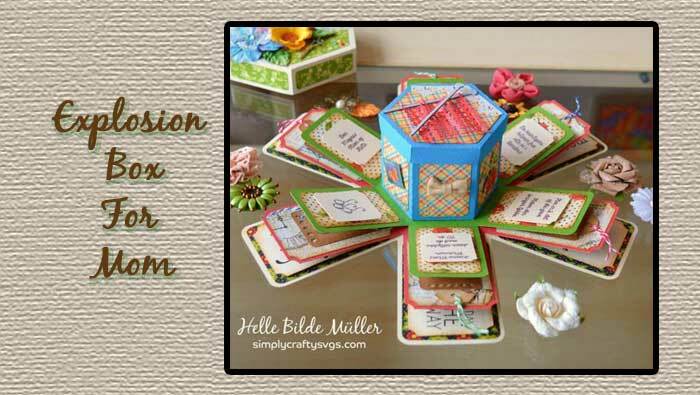 Helle designed this Hexagon Explosion Box for her mother’s 70th birthday. 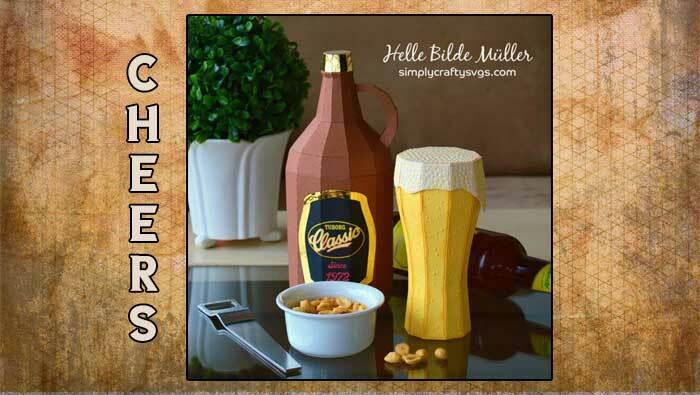 Theses pictures do not do justice! 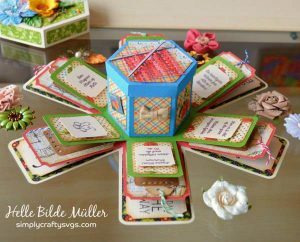 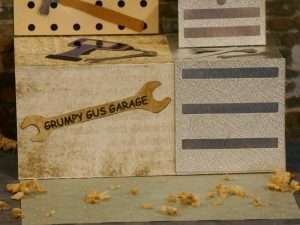 Click here to head on over to Helle’s blog, as she has of video fo this explosion box in action with all the details and special touches. 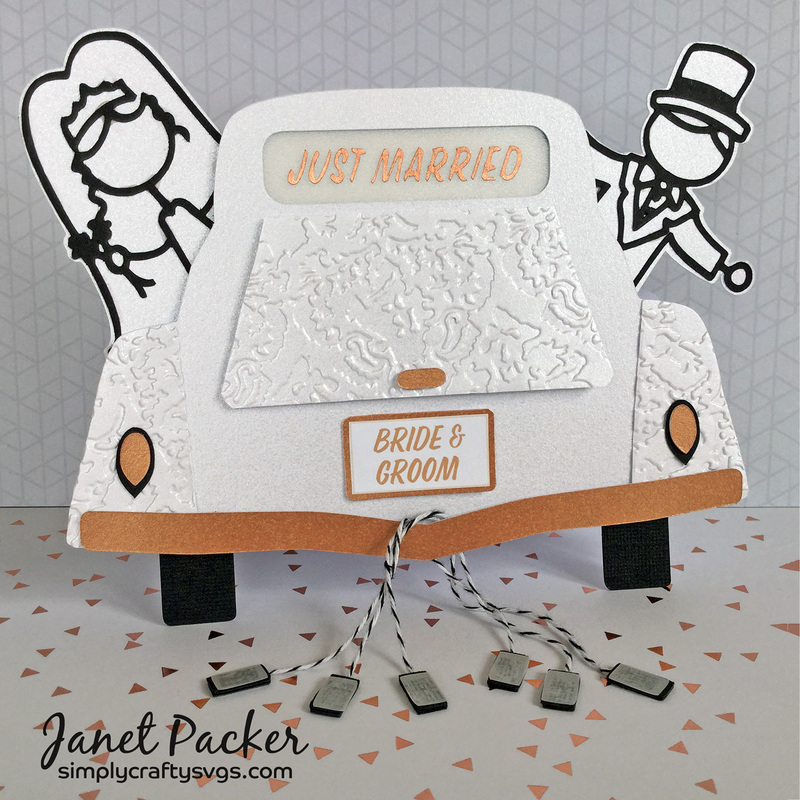 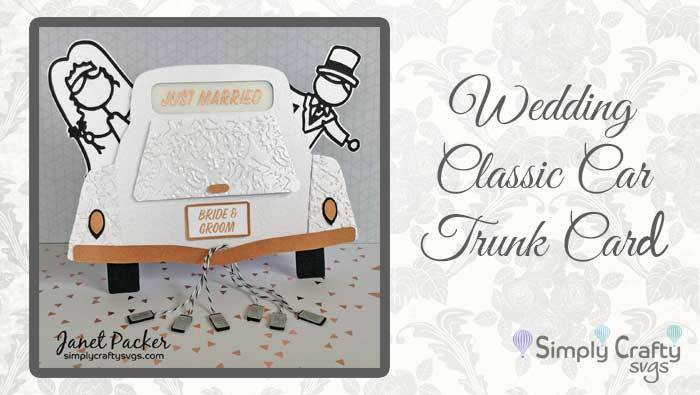 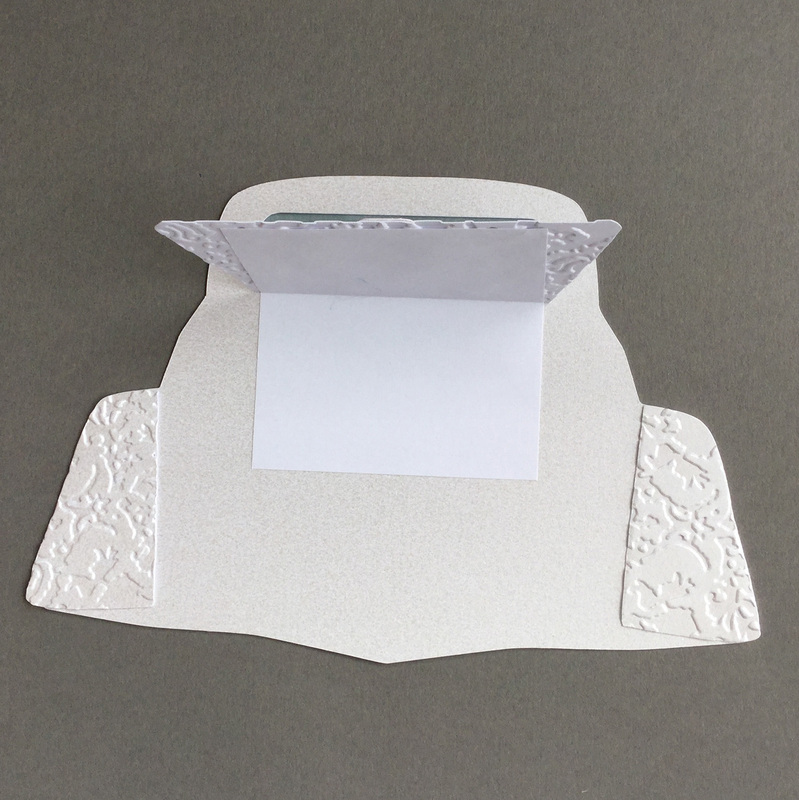 What a great idea Janet had using the Classic Car Trunk Card Set SVG file to create this wedding card with trailing cans! 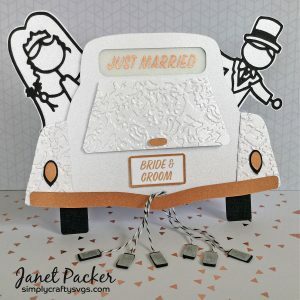 Janet added the bride and groom figures, as well as the cans. She even had a free SVG file to make the cans! 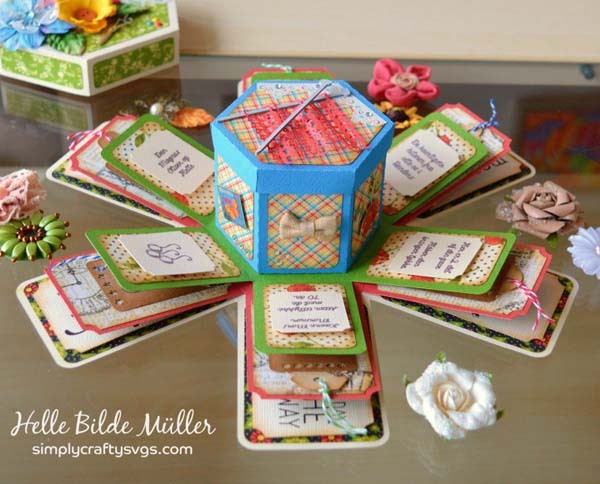 Head on over to her blog for additional details! 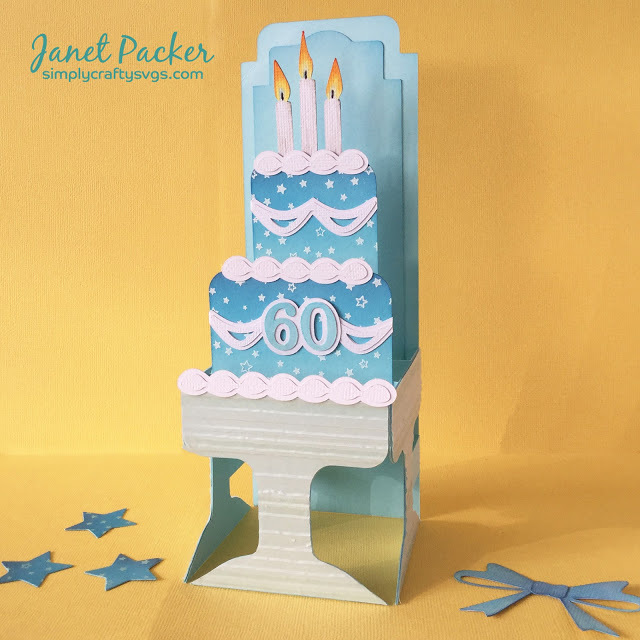 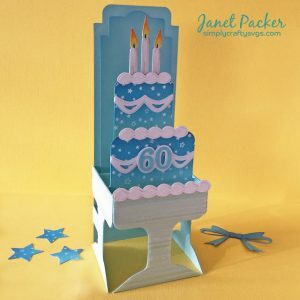 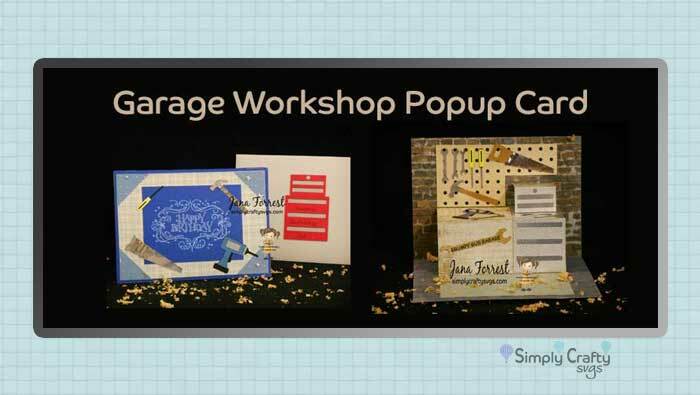 The colors of this birthday Garage Workshop card (using the Garage Workshop Popup Card SVG design) used by Jana are fantastic! 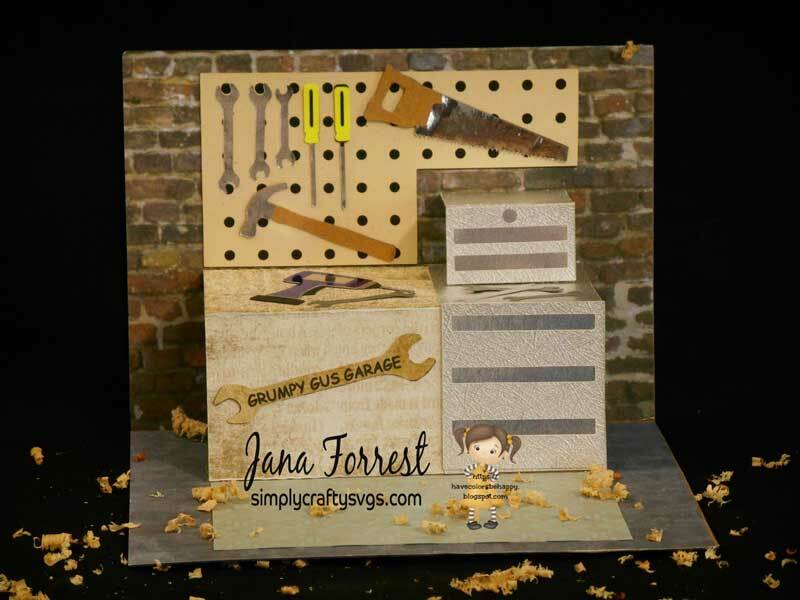 She modeled it after her own garage. 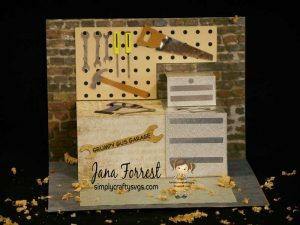 I love that brick background and the realistic rusty saw! 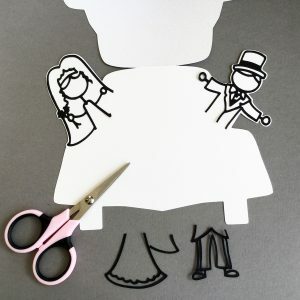 She has so many more pictures on her blog. 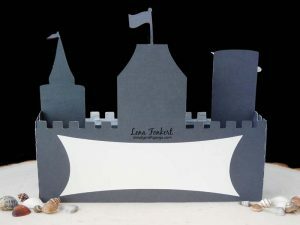 Here is another cute card from Lena. 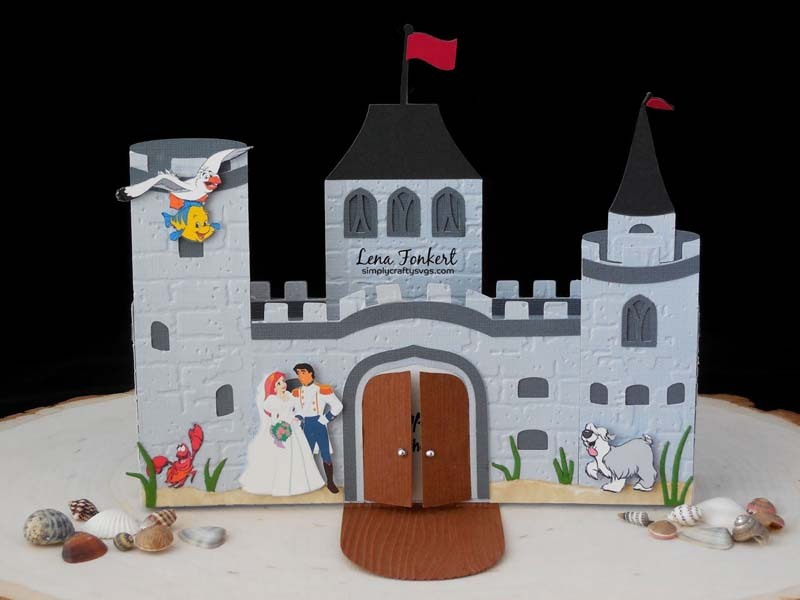 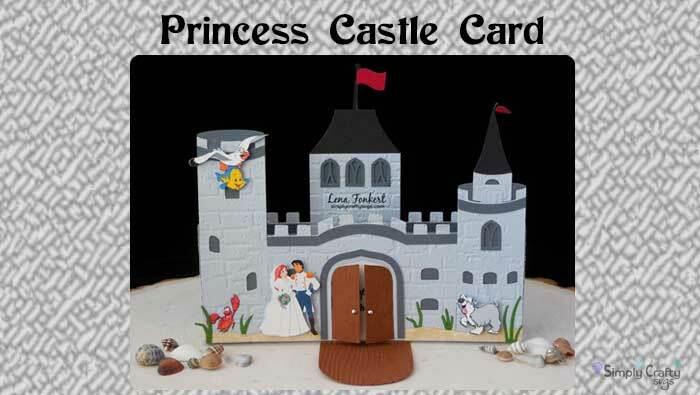 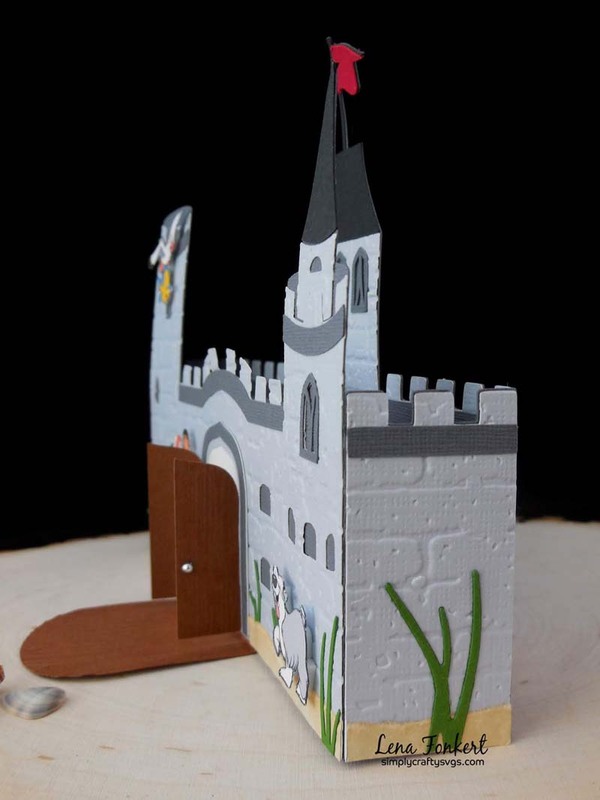 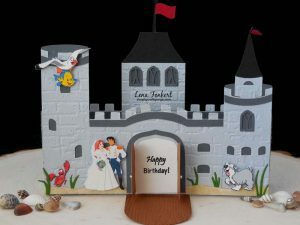 She used the Dragon Castle Box Card to create a Princess Castle card for her granddaughter. 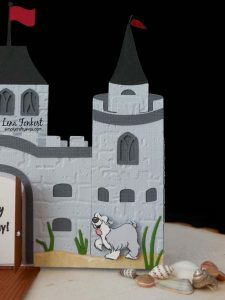 I love the details that went into this. She used print and cut Disney elements, embossed the castle panels and stamped a wood image to make the gate door look more realistic. 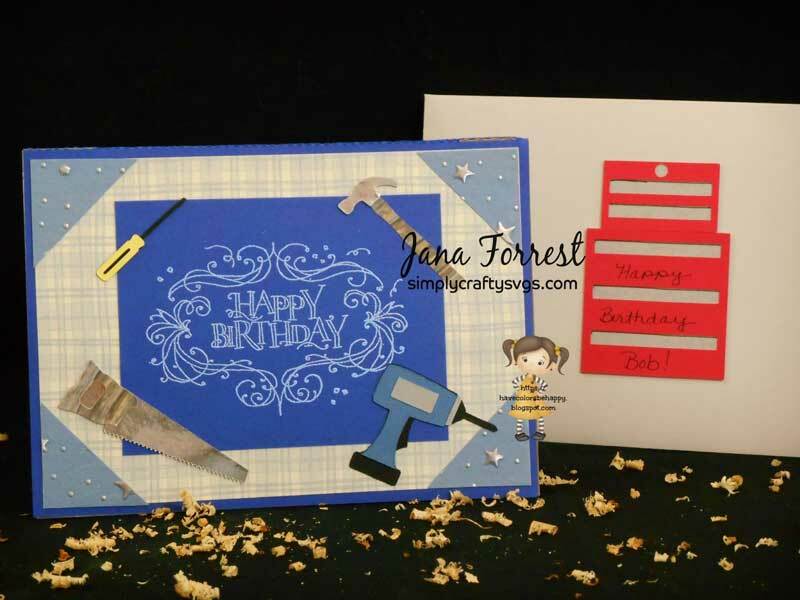 View more on her blog post here at Lena’s Creations! 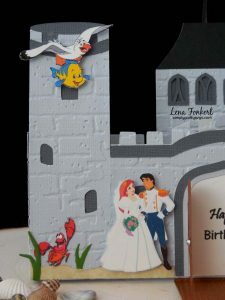 There are so many details in this Tiered Cake box card, that you have to really look carefully. 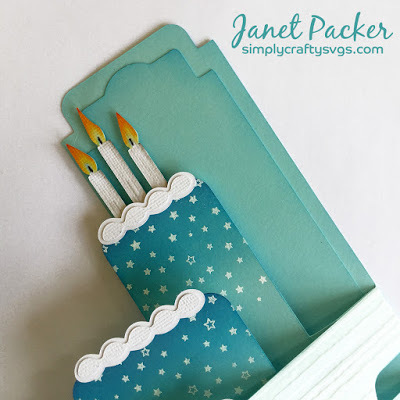 I do love how Janet blended the Oxide Inks to create the blended color of the cake layers. 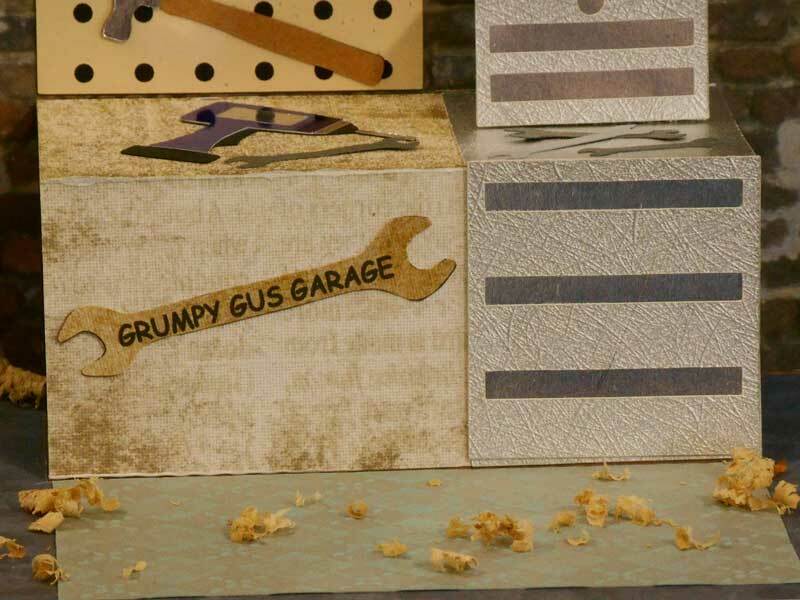 Like I said, there are a lot of little details that is explained on her blog post here.